January 7th 2018 seems such a long time ago. 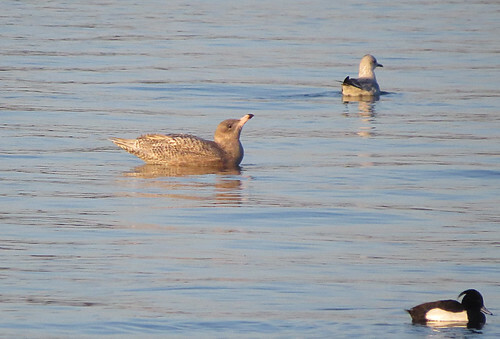 In Laridae terms at Tophill Low NR, East Yorkshire – if a bird was present on that evening, there is little chance of it remaining until February 25th! 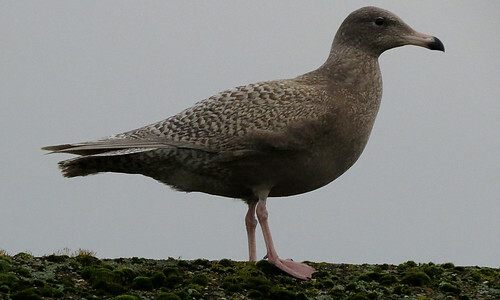 The roosting gulls traditionally depart the site to feed elsewhere each morning, but incredibly this juvenile/1st winter Glaucous Gull Larus hyperboreus has often remained throughout the day. Often the only gull present, it has made the most of the daily feast offered by gulls that die overnight spending time feeding on a diet of deceased Common Gull L. canus, Great Blacked-backed Gull L. marinus and Black-headed Gull Chroicocephalus ridibundus. February 25th saw this fantastic individual linger around for its 50th day. 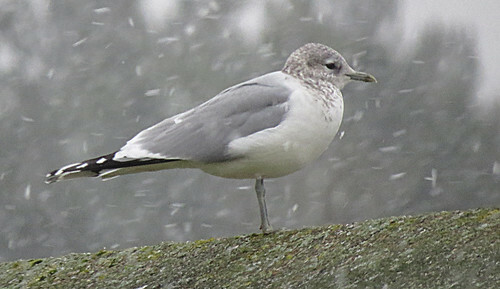 Unprecedented for any identifiable individual Larid occurring at Tophill Low during any winter period since site construction in 1959. Just how much longer will it remain? 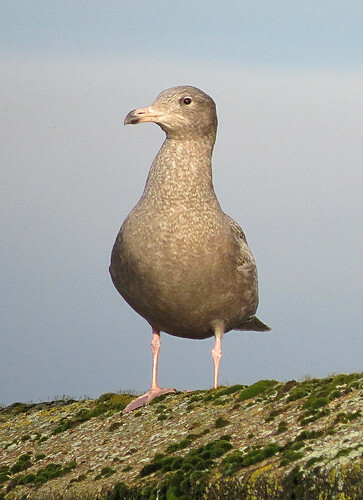 With winds of a westerly bias, apart from the Glaucous Gull L. hyperboreus the roost has offered slim pickings. Common Gull L. canus and Black-headed Gull C. ridibundus numbers have remained quite low over this winter period since early January, resulting in only two Mediterranean Gull Ichthyaetus melanocephalus being seen – singles on January 27th and February 16th the only ones noted – but both one night birds demonstrating the constant turnover of gulls in the roost. 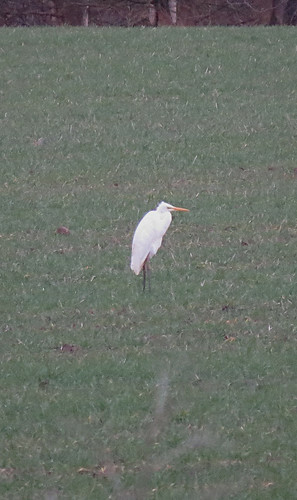 A Great White Egret Ardea alba was present on Hempholme Meadow at the back end of January. 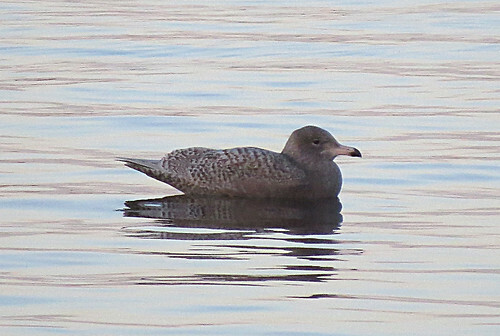 This may have been the same bird present on Decoy Fields on February 2nd, though no rings could be seen in the field on this bird unlike when it was first found. While it may still be winter, moth recording continues. The 2017 total is still not yet finalised as there are still some larvae specimens collected to breed out, but to date the total for the year is 526 species – eclipsing the previous record highest total by a mere 95 species! 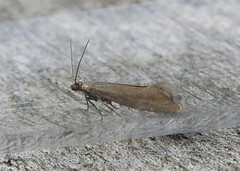 With Coleophora trigeminella accepted as a new species to VC61, the current Tophill Low NR list now stands at a respectable 676 since recording proper began in 1992. The 2018 season is well underway, with 15 species recorded totalling almost 400 individual moths. Ironically, the moth list is already up on this time last year, and c350 more moths have been recorded than during the same two month period 12 months ago. Could 2018 eclipse the reserve’s record-breaking 2017? 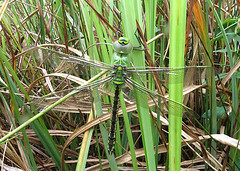 For information about Tophill Low NR, and the latest news, check out the blog and Twitter feed.